B+T Industries, a wonderful former client, is continuing to rapidly grow their business. Manufacturing and selling several of the best-in-the-world civilian, law enforcement and military rifle accessory products will bring that kind of growth. 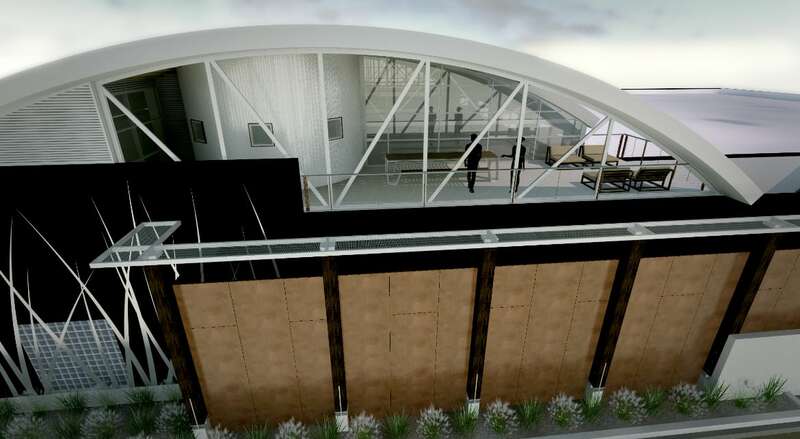 This facility will dramatically increase their R+D and manufacturing abilities. The owners decided to purchase a conglomeration of nondescript, attached warehouse buildings and give them a new identity that built upon the character of their existing facility. The new facility will have large east and west facing clerestory windows under a new + massive barrel vaulted roof. This will allow diffused light to flood the manufacturing spaces below. The building also features a 2 1/2 story conference room in a new brick silo and an employee covered roof deck. 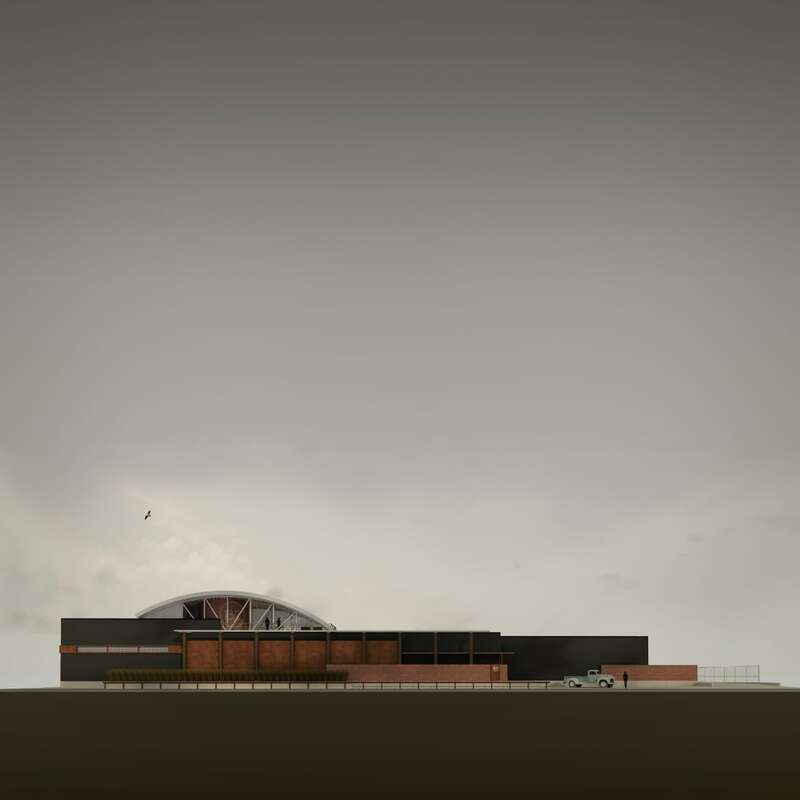 The new space will continue the design aesthetic of their existing facility by utilizing a mixture of heavy timber, steel and concrete to harken back to the old warehouses prominent in the 19th and 20th centuries.